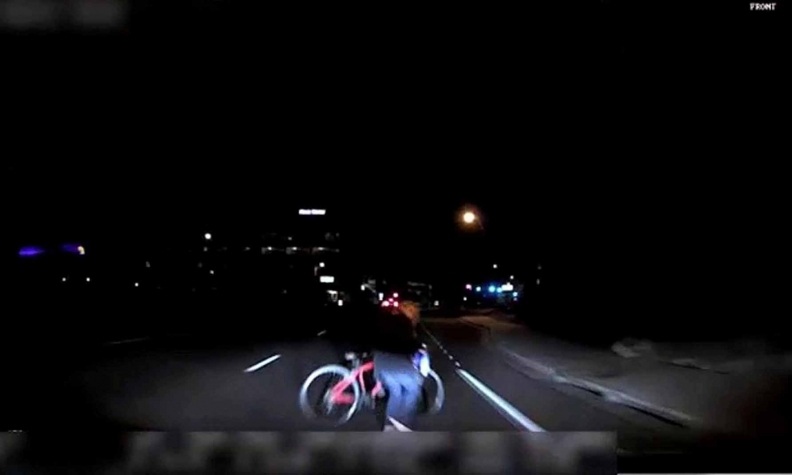 A still frame taken from video released March 21, 2018, shows the exterior view of the self-driving Uber vehicle leading up to the fatal collision in Tempe, Arizona, on March 18, 2018. 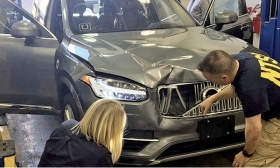 WASHINGTON -- An Uber autonomous vehicle that struck and killed a woman in Arizona in March failed to identify the pedestrian or to brake, raising serious questions about its performance, the National Transportation Safety Board said in a preliminary report released on Thursday. The report said the vehicle's radar systems observed the pedestrian six seconds before impact but "the self-driving system software classified the pedestrian as an unknown object, as a vehicle, and then as a bicycle." Uber Technologies Inc., which suspended testing in the aftermath of the crash in the city of Tempe -- the first death ever from a fully self-driving vehicle -- said on Wednesday it would shut down its Arizona self-driving testing program and will focus on limited testing in Pittsburgh and two cities in California. "As their investigation continues, we’ve initiated our own safety review of our self-driving vehicles program," the company said on Thursday, adding it planned to announce changes in the coming weeks. The National Transportation Safety Board, in a preliminary report released Thursday, said an Uber vehicle's radar systems observed a pedestrian six seconds before impact but "the self-driving system software classified the pedestrian as an unknown object, as a vehicle, and then as a bicycle." Uber has said it considers self-driving technology important to the future of its ride services, although it is not clear how it fits into the plans of new CEO Dara Khosrowshahi. He has revamped the company's operations and cut certain expenses as Uber prepares for an initial public offering next year. Elaine Herzberg, 49, was walking her bicycle outside the crosswalk on a four-lane road when she was struck by the Uber vehicle traveling at about 40 miles per hour.